OnFocus: OnFocus is composed of our media platforms, featuring news, business updates, and sports in area communities. We are primarily based in the Marshfield area, with expanding coverage in communities throughout Central Wisconsin. Explore: Explore is composed of our magazine-style platforms, featuring community events, activities, nonprofit fundraisers, shopping, and more! We currently operate Explore Marshfield and Explore Central Wisconsin, with plans to expand in the near future. 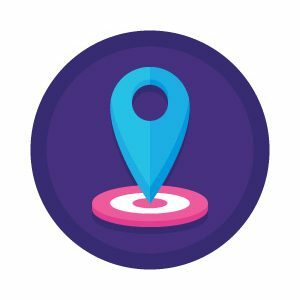 Advertising on our platforms is Zone-based. 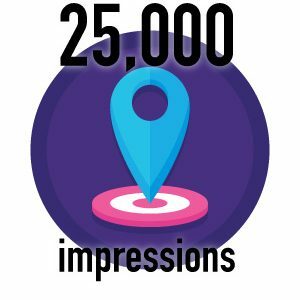 We guarantee an amount of “impressions” for each zone. 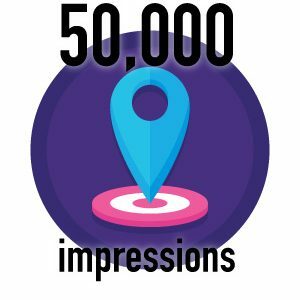 An impression is how many times a visitor sees your ad each month. ROLODEX: Explore is composed of our magazine-style platforms, featuring community events, activities, nonprofit fundraisers, shopping, and more. What We Do: We are the KINGS of content! Getting noticed on social media is easy when you have great content. Our team will assist in developing your monthly marketing plan for your business that includes video, article content, and graphic design. Once we have the content we will manage your social media platforms for you and maintain them. Facebook, YouTube, Twitter, Instagram… these are important tools that your business can use. Promotion Packages: These monthly packages include active social media management. We will work with you on a monthly basis to brainstorm ideas for content. Then, our graphic design, writing, and video teams will develop and produce the content and post to your platforms. We create the graphic design elements, and do the video editing and article writing. Video is a one-location shoot with a maximum of 3 hours of production. Each additional 30 minutes of filming or editing will be an additional cost of $85/session. 15% of your package cost will be used towards boosting content on social media. We create the graphic design elements, and do article writing. The article is published on our Explore platforms. 10% of your package cost will be used towards boosting content on social media. We create the graphic design elements and post them to your platform. 10% of your package cost will be used towards boosting content on social media. These are one-time charges that can be added to your package. These are offered at a discount to our Promotion Package customers. *EXAMPLE: Company XYZ is having a sale. Our team would film a 30-second commercial and write an article about the sale for promotion on Explore Marshfield website and social media. VIDEO: Video is a powerful marketing tool. Whether you need a quick commercial, a presentation filmed, or something more in-depth like a capital campaign video – we can help! PHOTOGRAPHY: Our professional photographers are equipped with top-of-the-line equipment to help capture the image you need. DRONE: We have FAA Part 107 certified drone pilots with hundreds of flight hours and advanced drone technology. If you need a quick aerial photo or something more professional – we can help! GRAPHIC DESIGN: Our talented designers can help make your vision a reality. Whether you need a new company logo, are looking for some branding assistance, a new menu, company handbook…whatever it is, we can help! Our partnership with locally owned print shop Premier Printing allows us to take your project from start to finish. WEB DESIGN: We can work with you to create everything from a simple landing page to a dynamic website. Whether you need a website built, updated, or maintained – we can help! SPORTS: Through our OnFocus platforms, we stream local high school sports. Sponsorship opportunities are available for these live streams.